And yet the big corporations complicate matters because they just want the bottom line: more money. They use the power of words to unconsciously grab people’s attention so that you buy their product. Yes, that’s the goal—so do these marketing health food buzzwords mean exactly what you think they mean? When a product is labeled “All Natural,” “100% Natural,” or “Clean,” it should mean that it is minimally processed and doesn’t contain manufactured chemicals or additives, and is usually safer for consumption. 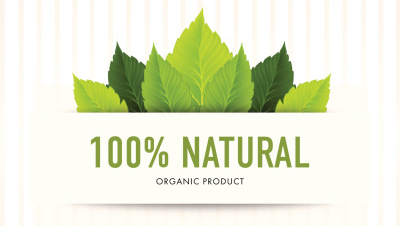 “Natural” products are also free from artificial ingredients and added hormones. The problem? The FDA (Food and Drug Administration) or the USDA (United States Department of Agriculture) does not regulate the definition of natural-coined terms. Particular products such as soda or ice cream can be made with natural ingredients but it doesn’t contain any nutritional value. They still contain high amounts of fat, calories, sugar, and salt. The FDA discourages the food industry from using “natural” terms on labels because of the confusion and room for interpretation. A lot of companies in the food industry have built their reputations on the word “fresh,” often implying it has higher quality. Consumers will associate “fresh” with eating healthy, less-processed, and higher-quality ingredients. The term can relate to various factors, including the preparation process consisting of the way it’s made, who made it, and how the food is packaged. “Fresh” may have nothing to do with the quality of ingredients used. The best way to know you are getting fresh food is to grow it yourself and make it yourself. Your vegetables and fruits are freshest as soon as you purchase them and start to lose nutrients when they begin to change color. An example is when kale changes from dark green to light green or yellow. The word “locavore” was the word of the year for Oxford American Dictionary in 2007. A locavore is a person interested in eating locally produced. It was also made popular by the 2007 book The 100-Mile Diet: A Year of Local Eating by Alisa Smith and J.B. MacKinnon. There are a lot of advantages to eating local but what does local really mean? Your food generally travels 1,500 and 3,000 miles from farm to grocery store, whereas 1,000 miles or less is the accepted term to be considered local. When you purchase locally grown food, it also tends to be picked within 24 hours. Eating local also benefits local farmers, local economy, and focuses on environmental issues such as organic production and biodiversity. There are two types of organic food: organic whole foods (produce, legumes, whole grains, animal products etc.) and organic products. Organic farms have a rigorous process to become certified organic, including avoiding the use of synthetic pesticides, herbicides, fungicides, and fertilizers. The farm must abide by a two-year transition period where they follow a series of organic certification rules and regulations. They practice biodiversity and proper soil health, while using only quality water. The use of genetically modified organisms is also prohibited. The media seems to give organic a bad name from time to time and average citizens believe when the newspaper says that there are minimal differences between organic and conventional produce. Needless to say there is a lengthy process to become certified organic and why would they obtain certification otherwise? While studies about the benefits of organic food are often conflicting, there are some studies that show organic fruits and vegetables have more nutrients, especially phytonutrients and antioxidants. Anything considered organic and sold commercially must be labeled USDA Organic in the U.S. Organic products also don’t always mean they are healthy, and will still sometimes contain excess sugar and salt. They also could have a combined total of 5% non-organic content. “Organic Certification,” United States Department of Agriculture web site; http://www.usda.gov/wps/portal/usda/usdahome?navid=ORGANIC_CERTIFICATIO, last accessed Jan. 15, 2014. “Labeling Organic Products,” United States Department of Agriculture web site; http://www.ams.usda.gov/AMSv1.0/getfile?dDocName=STELDEV3004446&acct=nopgeninfo, last accessed Jan. 15, 2014. Massi, Mia, “The Big Four Industry Buzzwords: And What You Need To Consider,” Key Notes web site, Sept. 6, 2013; http://pregelkeyaccounts.com/keynotes/index.php/2013/09/the-big-four-industry-buzzwords/. Cameron, M., “13 Health Food Buzzwords We’re Sick Of,” Reader’s digest web site; http://www.rd.com/health/healthy-eating/13-health-food-buzzwords-were-sick-of/, last accessed Jan. 15, 2014. “The Last Word on 5 Food Marketing Buzzwords,” MDG Blog web site; http://www.mdgadvertising.com/blog/the-last-word-on-5-food-marketing-buzzwords/, last accessed Jan. 15, 2014.